Few people realize that the Disney movie, The Lion King, was a remake of a very old tale, perhaps one of the oldest tales on this planet. Osiris and Isis were the earlier incarnations of Mufasa and his lioness wife, Sarabi. Unfortunately, just like Mufasa, Osiris also has a jealous brother named Set. Set tricks Osiris by creating a beautiful wooden chest and convincing him to lie in it by creating a contest whereby the person who fits in the wooden chest wins it. Of course, like Cinderella’s slipper, the chest fit Osiris perfectly. Once Osiris was in the chest (or coffin), the lid was shut; and Osiris was tossed into the Nile river to die. Later, when Isis finds her dear husband, Set enters the scene again and cuts Osiris into 14 pieces. Isis must put Osiris back together and breath life back into him in order to create a son. That son is Horus. Of course, Simba already existed in the world (a little creative liberty on the part of the Disney crew), but he too is put back on track by his friend and wife-to-be, Nala. Eventually, Simba must go back and fight Scar, his evil uncle. Likewise, Horus, the son of Isis and Osiris, had to go back and fight his uncle Set. And in both cases, the lion king is victorious over the enemy and peace returns to the pride land. This ancient story may or may not have been true. But it is profoundly powerful as a metaphor for the mind. Osiris and Isis represent the higher male and female that is within our mind. Osiris was considered the good king, he ruled with love and caring for his kingdom. His wife, was wise and creative and was his complete equal (she was often known as the virgin who could not lose her virginity–an ancient metaphor for a pure creator). But when Set tricked Osiris and killed him, Isis lost her power, she became sad and her emotions began to take over. She could not find the power within herself to bring her God-husband back to life. 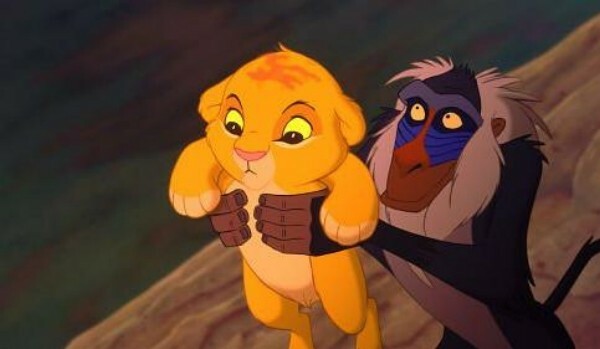 Set (or Scar in the Lion King) is the symbol of the false self, the beliefs that keep us from being true and powerful. And once we move from truth into the world of beliefs, we lose our innate power. Once we accept the life that others want us to live, we lose our pole star, and navigating through life can be difficult. We make bad choices. We feel lost and afraid. We find ourselves stuck in problems that seem unsolvable. But Thoth, the wise one, came to Isis; and he reminded her that her God (Ra–meaning the Sun) was within her (not in her husband), and she had the power to do whatever she wanted to do. So she put her husband back together. Ironically, she could not find Osiris’ male organ, and so she created a golden replacement. Perhaps she was showing us that the male organ is highly overrated–just kidding guys. Through some sort of magic, she immaculately conceived her son, Horus. Then she invented mummification to send her husband to the field of reeds in the stars. In essence, once she remembered who she was, Horus was born; and eventually, good triumphed over evil. Osiris had been chopped into fourteen pieces. Isis had to re-member (put his members back together) Osiris; and Simba had to REMEMBER who he was. In short, each had to remember their power, their true Self. And this ancient story reminds us to do the same. We also have been cut into parts as we’ve tried so hard to be good and please others. Consequently, many of us please others while sacrificing ourselves. But when we defeat that voice inside of us (Set or Scar) that tells us that we should obey the rules of the false world, we should do it the way others want us to do it, we should be polite and good by others standards, we find that the power we always had inside returns. It is time for us to remember this story, this lesson, it is time for us to be ourselves. And when we do, we complete the circle of life, and we become free. PS: If it is time for you to remember yourself and you’d like some assistance, check out my free e-book and online classroom at www.nolabelsnolies.com. There is truly nothing to buy. I don’t require you to register to get it. I make my research available to everyone because everyone deserves a great life. It is never too late, to be yourself! I checked and I don’t get any music (I’d be surprised if there was music in there given that I don’t know how to add it to the website). It must have been something on your computer. But thanks for letting me know so I could check. You have a great post here, truly informative. Very good written I shall be bookmarking your server and subscribing to your feed so i can regularly read posts of this quality. Love the article! I recently watched the Lion King again and started seeing connections to esoteric ancient Egyptian stories so I googled searched it and found your site. To expand on your article, I noticed there is a lot of focus on the stars and he sun and moon in the movie (the moon is usually in the Scar scenes, the movie starts with the rising sun etc) Great stuff, keep it up!